This report follows the bill of material to show how a buffer is being replenished. When called for a resource, it shows the operations using the resource and their supply path. The report can’t be called directly from the main menu, but it is accessed from the context menus. 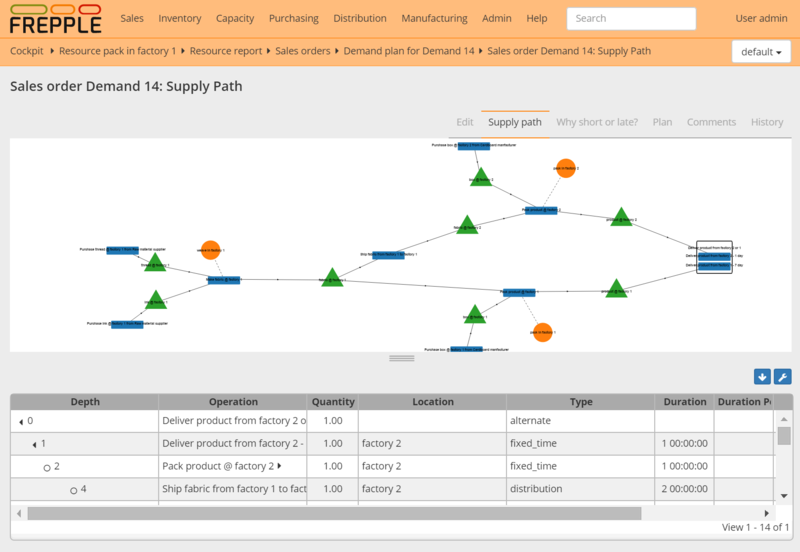 The supply path report follows how material is produced or replenished. It shows the path from end item upstream towards all raw materials required for the end item. The where-used report follows how material is being consumed. It shows the path from raw material downstream towards all end items using the material.